Piles of brush waiting to be collected sit on the curb during a brush pickup week. 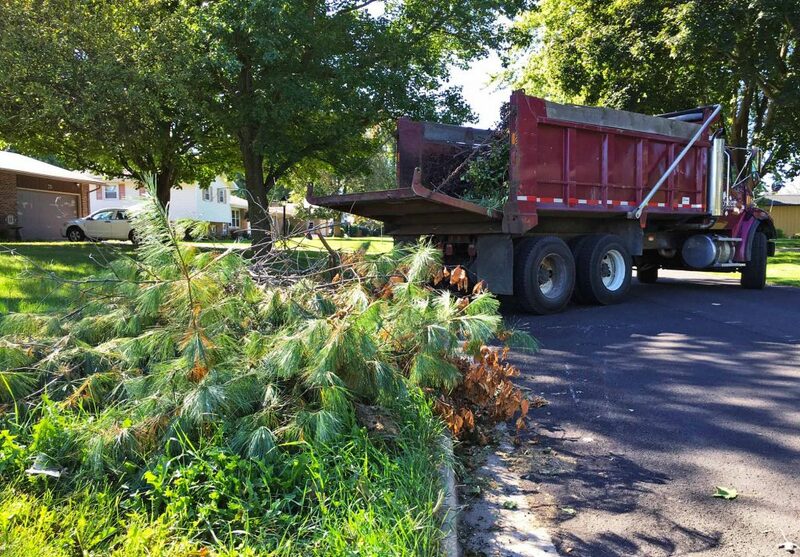 Due to high winds bringing some tree limbs down and popular demand, the Goshen Street Department will be doing a round of brush pickup the week of March 25. Have your brush by the front curb, but not in the street, by that Monday morning at 7 a.m. Brush will not be picked up in alleys and the piles should be trash free. Crews cannot access the piles if blocked by vehicles. Please note that the Street Department will not pick up leaves at this time, only during the April 29 brush collection (additional dates and information will be announced soon). The Street Department will also start taking reservations on March 25 for brush trailers. The earliest one can reserve a trailer for is April 1. To reserve a trailer or for more information, contact the street department at 534.9711 or streets@goshencity.com. This entry was posted in Blog, News & Events on March 18, 2019 by Sharon.